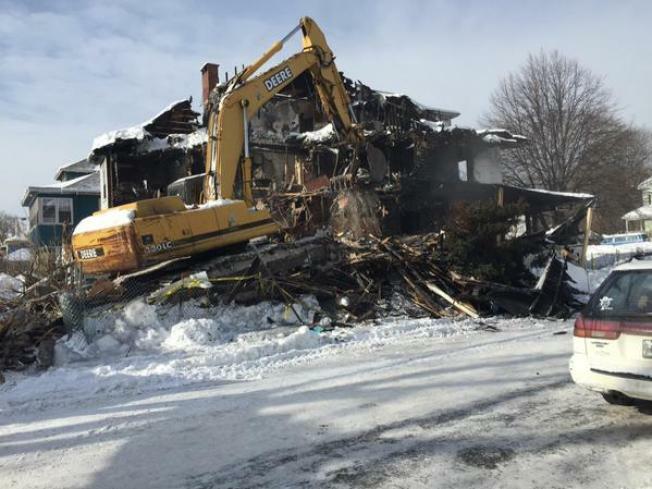 The owner of a Portland, Maine, apartment building where six people died in the worst fire in the state in 40 years is tearing the house down. City officials say Gary Nisbet applied for a permit to demolish the Noyes Street home and a contractor was doing the work on Friday. A letter sent to neighbors says the demolition will be finished in two to four days. The Nov. 1 fire was ruled an accident caused by improper disposal of smoking materials. The fire killed residents Nicole Finlay, David Bragdon Jr., Ashley Thomas and Christopher Conlee; Topsham resident Maelisha Jackson; and Rockland resident Steven Summers. Several others escaped. The district attorney's office is expected to consider whether the building met all regulations.